On the French Essay circuit, the Victory S model of the FA Kart range, powered by the Vortex engine, conquered the CIK-FIA European Championship of the OKJ class. Paul Aron is the young Estonian driver who led the FA Kart-Vortex chassis to the European title and Ricky Flynn Motorsport is the team that masterfully managed the technical material. At the wheel of the FFA Kart powered by the Vortex DDJ, Aron has led an attentive weekend, without making mistakes, relying on very high quality, reliable and very competitive material. The last round of the European Championship was particularly exciting because all the pretenders to the title, especially Aron, has little gaps in terms of scores, so it would have been enough to make a small mistake to vanish everything. In his victorious European career, Aron scored two victories (out of 4 rounds), one obtained on the Naples circuit (Italy) and the other in Ampfing (Germany). In France Aron crossed the finishing line in fifth place, a result that earned him the victory in the championship. For the FA Kart-Vortex chassis the transalpine circuit is one of the places where triumphal memories are preserved. 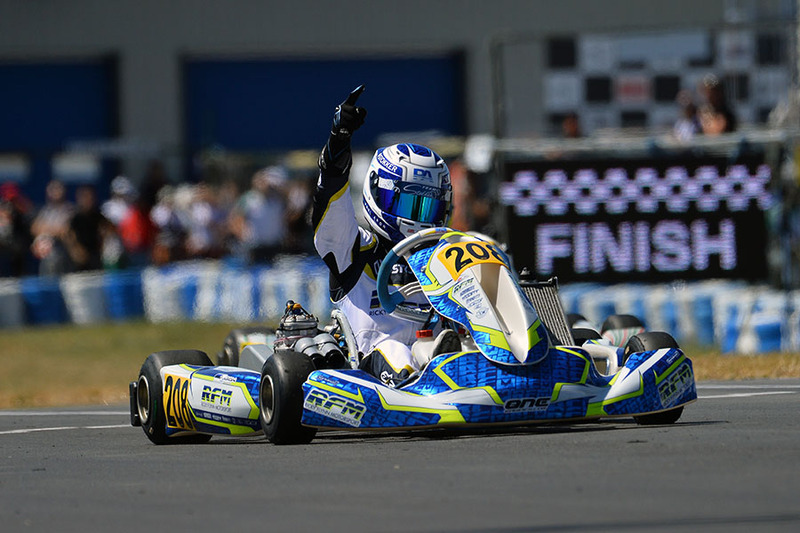 In fact, just in Essay in 2014, the FA Kart hit two CIK-FIA World titles, those of the KF and KF Junior categories. Becoming CIK-FIA World Champions, in the same weekend, were Enaam Ahmed (KFJ) and Lando Norris (KF), both drivers of the Ricky Flynn Motorsport team.